There is no doubt that law enforcement is a dangerous profession. Just since the beginning of 2015, there have been 14 LODDs (line-of-duty-deaths) in the United States, and prior to that there were 121 LODDs in 2014.1 While many of these LODDs involved gunfire, it is certainly noteworthy to mention that over four dozen of these LODDs in 2014 were vehicle-related. What do these sobering statistics mean for the law enforcement community? There is a need to continue the search for new and improved methods of protecting officers, including amplified roadside safety. Reflective markings and clothing, emergency lighting and vehicle positioning all play an important role in police roadside safety, but unfortunately the dangers are still present, even with these precautions in place. The fact remains that when an officer is pulled over at a traffic stop, he/she is in harm’s way. Automated technology solutions, such as an electronic citation (eCitation), area imaging scanners, and in-vehicle printers, are becoming more and more critical within the law enforcement world for just that reason. Automated solutions decrease the time officers need to spend at traffic stops. 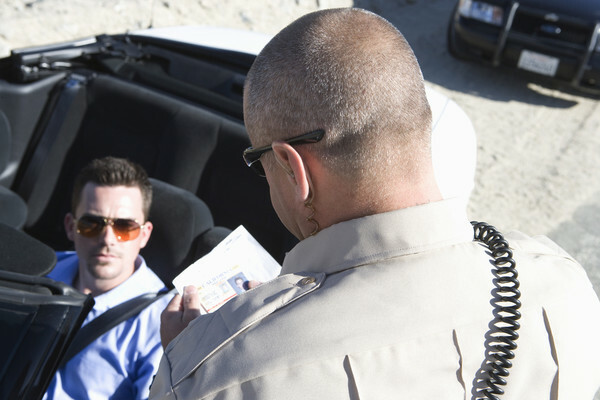 eCitation, also referred to as e-ticketing, is designed specifically for law enforcement applications and has numerous benefits. * Situational awareness & officer roadside safety at traffic stops is amplified! Simply put, the less time an officer spends at a traffic stop, the less time an officer is at risk on the side of the road. While pen and paper can be a great backup plan, have you considered automation? Carmella Giancursio is L-Tron’s Public Relations Specialist & Content Editor. When she’s not working or taking care of her 3 young kids, she can be found in the kitchen, channeling her Italian heritage!